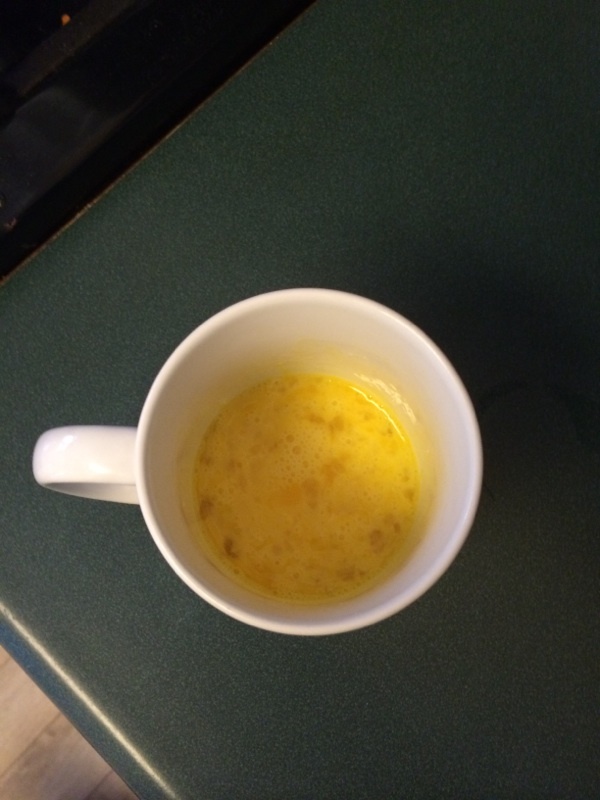 Cheesy Buffalo Scrambled Eggs – Made in a Coffee Mug! One of my favorite parts of the Keto Diet is that I consistently wake up full of energy and ready to take the day on. On the weekends, I go crazy over decadent omelettes, piles of bacon, almond flour pancakes, and other morning treats. But on weekdays? That’s another story. We all know this routine too well. Wake up, let the dogs out, take a shower, brush your teeth, and get dressed just to make it out of the house by 7:00am. That doesn’t leave much time for a hearty breakfast, does it? But if you’re like me, skipping breakfast altogether isn’t an option. So we just need to get creative. Any low-carber should be aware of the benefits and versatility of eggs. These mighty things are perfect. 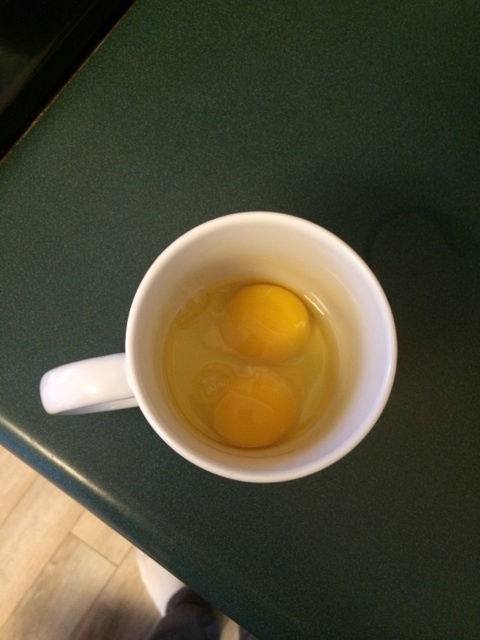 Your typical egg has only 70 calories, 0g carbs, and still manages to pack in 5g of fat. And they’re a breakfast staple. 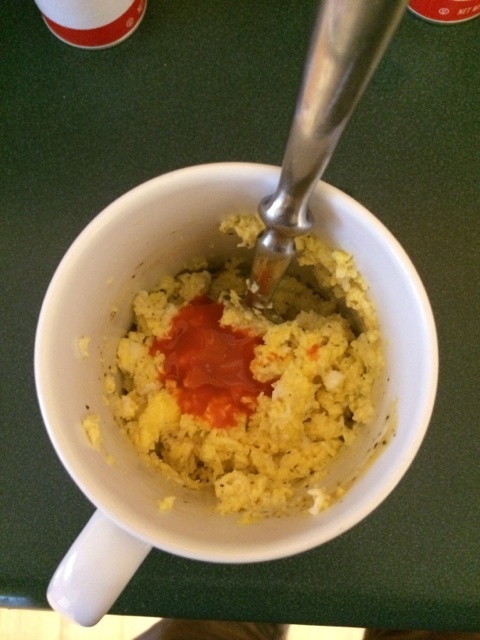 So rather than waiting until the weekend to eat my eggs, I searched for a quicker way to make them during the work week. Step 2: Using a fork, whisk up the eggs. They’re ready when they look like this. 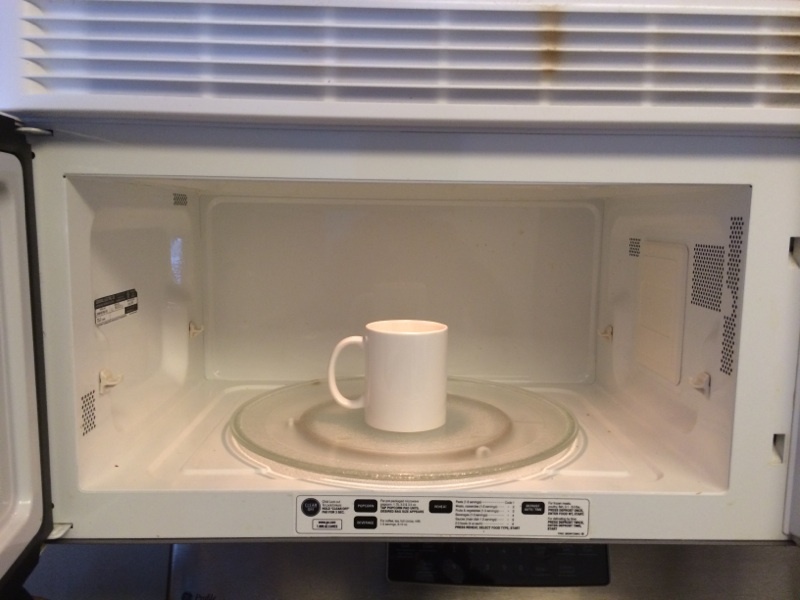 Step 3: Place the mug into your microwave and cook for 1.5 – 2 minutes, depending on the power of your microwave. 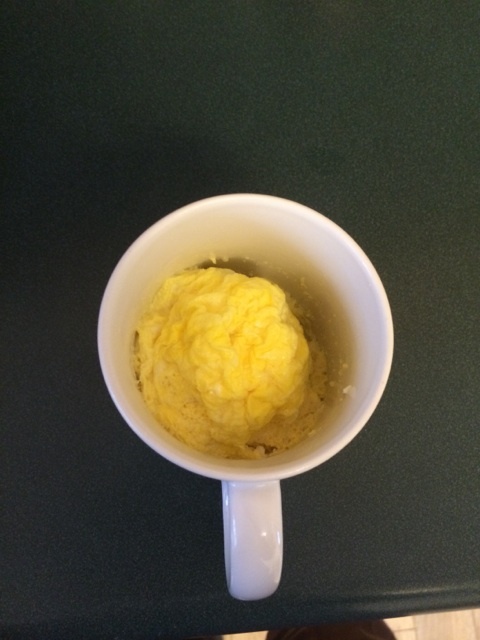 Step 4: Remove the mug from the microwave. CAUTION: IT MAY BE HOT! Your eggs should look like this. Step 5: Add dashes of salt and pepper. 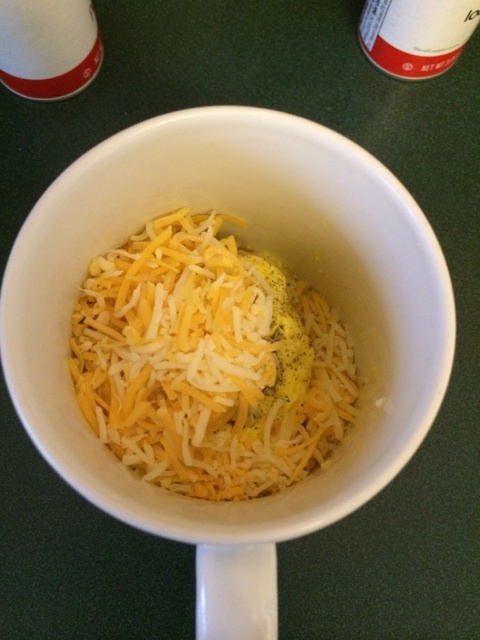 Then, sprinkle on your desired amount of cheese. Using a fork, mix everything together. Step 7: Mix in the sauce. The final product should look like this. 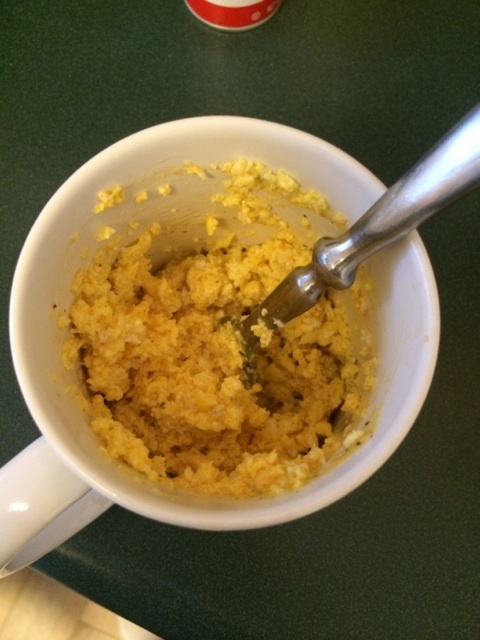 And just like that, your cheesy buffalo scrambled eggs are ready to eat. Plus, you only have a coffee mug and a fork to clean! Enjoy!